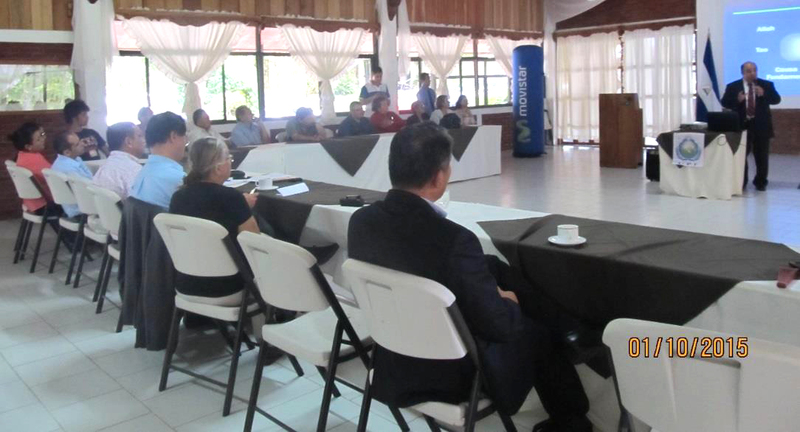 By FFWPU Nicaragua: On October 1, 2015 at the Hotel of Montana Selva Negra of the department of Matagalpa, Nicaragua a selected group of about 30 guests were invited to discus about various issues in Nicaragua. This program financed by the Lic. 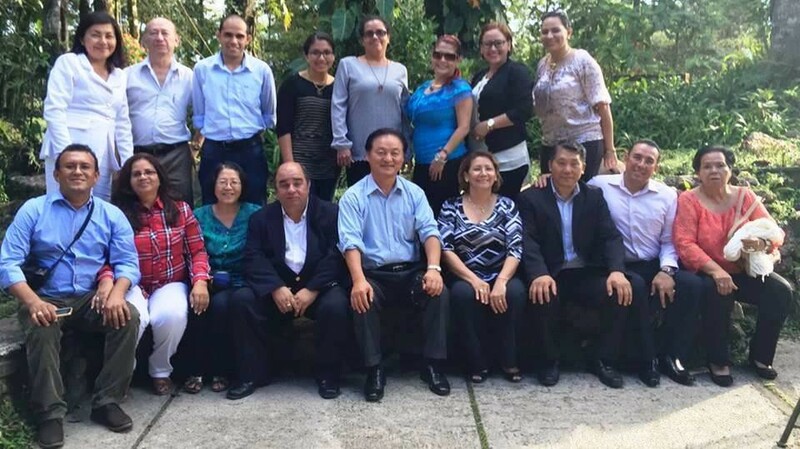 Ivania Toruño on the occasion of the new mission of Dr. Yang as a special emissary for Nicaragua. Lic. Luis Ramírez- Mayor of Waslala. 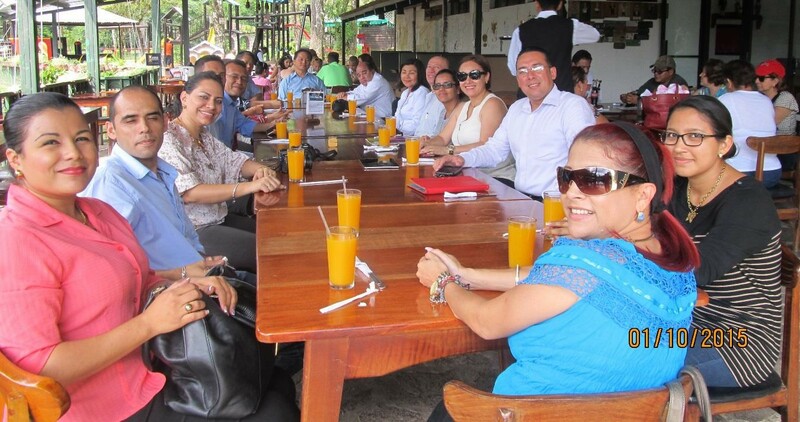 Dr. Norman Leclreir-Advisor of the Mayor of Matagalpa. Lic. Maximino Rodríguez-Ex. Congressman of the National Assembly. Mauci Kuhl- Owner of the Hotel de Montaña Selva Negra. Mrs. Mauci Kuhl, a businesswoman spoke about her experiences in the construction and maintenance of the production of the agricultural company and her contribution in the area of the production of aliments, recycling, the production of employments and the equilibrium of the environment, together with the attractive and complex touristic business that she undertakes. Rev. Jorge de Oliveira gave a lecture about the philosophy of Peace and One Family under God. Dr. Jairo Rojas Meza professor at the University of UNAN gave a magisterial talk about the different challenges and the possibilities of the agriculture environment that Nicaragua can offer. Dr. Yang concluded the program with an attractive speech about the Korean experience as a lesson for the development in Nicaragua. It was a very interesting when Lic. Luis Ramírez Mayor of Waslala expressed his desire for educating of all the employees of the city hall with our philosophy and values. Other educators who were present also asked to educate their youth with these contents.